The Travelon 12997510 is a waist pouch designed to keep valuables safe and is also convenient to carry. The waist pouch has its main compartment large with two zippered pockets to carry essentials. It also features three drop pockets that hold tickets, receipts and boarding passes. 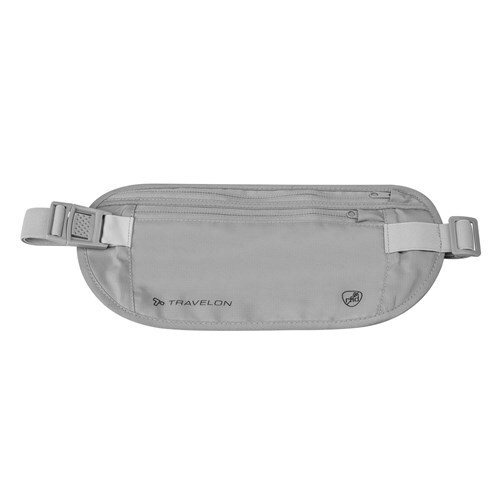 The Travelon RFID Blocking Undergarment Waist Pouch-Gray has many exciting features for users of all types. You can extend the lifetime of your Travelon RFID Blocking Undergarment Waist Pouch-Gray with the purchase of a FactoryOutletStore Factory Protection Plan. See the Travelon RFID Blocking Undergarment Waist Pouch-Gray gallery images above for more product views. 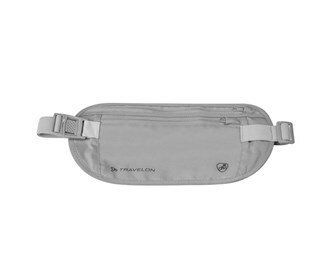 The Travelon RFID Blocking Undergarment Waist Pouch-Gray is sold as a Brand New Unopened Item.